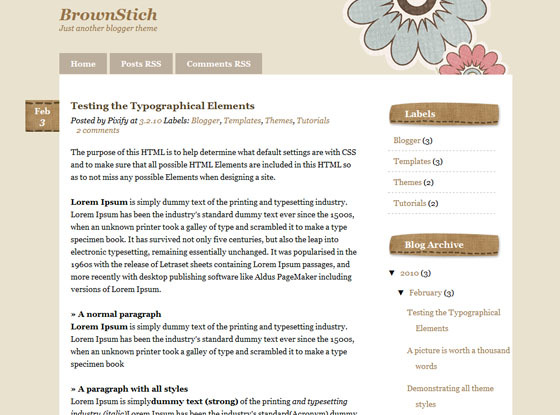 Brown Stitch is a crafty blogger theme with scrapbook elements.This theme is suitable for Girly blogs. i want to use this if i may..but my computer block the download process .. is there a way i can get the code? i love this theme a lot as well! just a couple questions for the HTML code please? 2. how do i move the “posted by” line from the top of the actual post, to the end/bottom of the post? 3. i tried to remove the labels in the page elements>blog post edit settings, but it still shows. how can i get rid of this?